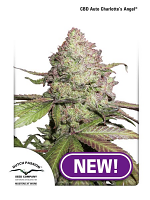 Super Shark Feminised by 710 Genetics brings together two high performance cannabis strains, known as Skunk #1 and White Widow, in order to create a robust Indica dominant variety that is capable of providing a high impact buzz. 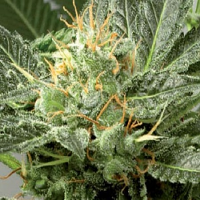 Perfect for novice and experienced growers, Super Shark Feminised has a flowering time of 9-10 weeks and performs to optimum standard inside and outdoors. 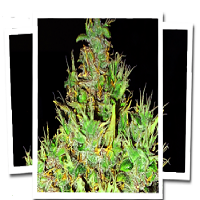 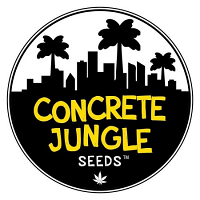 Distinguishable due to its serrated leaves, orange hairs, and dense colas, this easy to grow marijuana plant will allow you to enjoy moderate yields, and strong fruity flavours that leave a tantalising after taste.